Welcome to the first edition of This Month in Liberty, your one resource for information you need to know to defend our county, state, and country. With the ever increasing torrent of information and dialog we are faced with every day, this newsletter will keep you you informed with only the most relevant interesting information about the events that will shape our country’s future for generations to come. 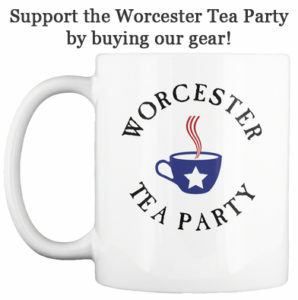 The leadership of the Worcester Tea Party are dedicated to deliver to you each moth the tools you need to defend liberty and American principles. Be sure to share this resource with our supporters and those who oppose our views. Only through an open dialog with our fellow citizens will we restore our republic the the beacon of freedom it was meant to be.